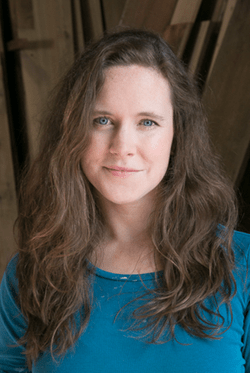 This “3 questions” features Nina MacLaughlin and her book Hammer Head: The Making of a Carpenter. In this book, she discusses the process of applying for a job as a carpenter, despite her only qualification being she was a classics major, and the learning that took place as a result of this major shift in her life. The history of tools, the virtues of wood varieties, and the wisdom of Ovid are interwoven into this moving story of a person finding her passion. Nina MacLaughlin grew up in Massachusetts. She earned a B.A. in English and Classical Studies from the University of Pennsylvania, and worked for about eight years at the Boston Phoenix, the award-winning alternative newsweekly. In 2008, she quit her journalism job to work as a carpenter’s assistant. Her essays and reviews have appeared in the Los Angeles Review of Books, the Believer, the Boston Globe, the Rumpus, the Millions, Bookslut, and many other places. She lives in Cambridge, Massachusetts. Ms. MacLaughlin will be visiting the Norwich Bookstore at 7 pm on Wednesday, May 20th to discuss Hammer Head: The Making of a Carpenter. This event is free and open to the public. However, reservations are recommended as space is limited. Call 802-649-1114 or emailinfo@norwichbookstore.com to save your seat. Peter Matthiessen’s The Snow Leopard, for the quest, for the adventure, for being open to mystery. Mattheissen is someone who was searching, and his boundless curiosity is something that I admire in the most major way. Anne Carson’s Plainwater, for its layers, for its non-categorizability (poems, essays, fragments), for its passion, for the author’s evident love of language, for its wrestling with pain and love and place and words. She pushes boundaries — of form, of language — that I wish I were able to push. And, cheating a little here: Loren Eiseley’s The Unexpected Universe and Annie Dillard’s Pilgrim at Tinker Creek. For their close attention to the natural world, for their lyricism, for the authors’ curiosity, for their awe and their infectious enthralledness of existing on this strange planet. 2. What author would you most like to have a cup of coffee with and why? 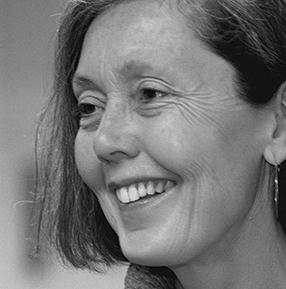 Anne Carson is a writer, poet, essayist, translator, classics scholar, professor. She writes like no one writes and has a peculiar brain and it seems like she is someone who is in love with words. I would love to sit and talk with her. The thought of having a coffee with her is amazing. And also terrifying. I suspect I’d be a dry-mouthed tongue-tied imbecile in her presence and would probably spill my coffee all over her for nerves. 3. What was the last book that kept you up all night reading? The physical nature of the carpentry work usually means that I’m asleep after a few pages, regardless of a book’s hold on me. But the most memorable reading experience for me in the last few years was Volume 1 of Karl Ove Knausgaard’s My Struggle series. I started it and could not stop and the whole of a weekend was taken up with this book. The rare best place that books can take you is that you inhabit another person’s life; such was the case with this book for me. I’m relieved I read him before the fame and attention surrounded his work as I think that might’ve corrupted the experience. The subsequent volumes have not had the same impact, but this initial one knocked my goddamn socks off. I’ll also mention Maggie Nelson’s Bluets. Though it didn’t keep me awake, it is the only book that I have read the last page of and immediately started again on page one (which has happened three times now — each time I read this book, I read it twice).